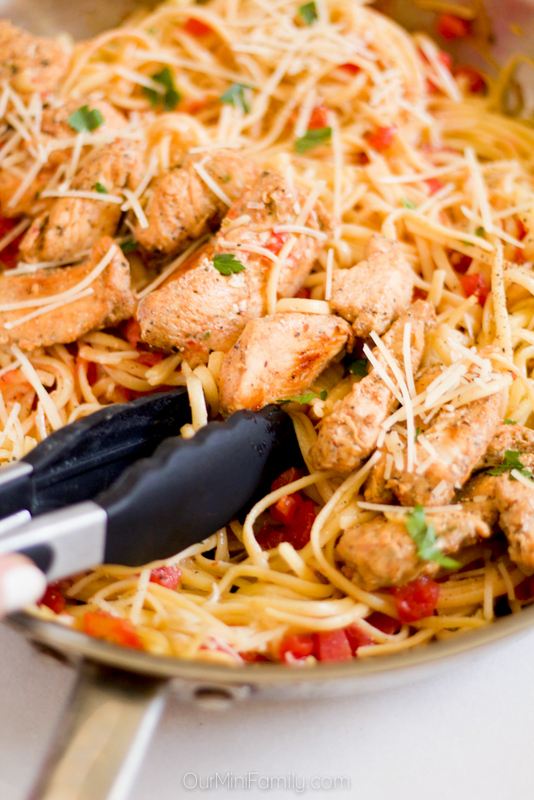 Enjoy this one pan bruschetta chicken pasta recipe--perfect for a weeknight dinner! 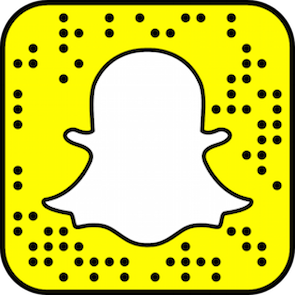 Thanks to our friends at Foster Farms for partnering with us and for sponsoring this recipe post. As the days get shorter and the nights grow longer, I find myself running out of time at the end of the day to make dinner and maintain a clean kitchen at the same time. It would seem that I can only have one or the other--a clean kitchen, or a home cooked meal. That is unless of course, I make a one pan dinner recipe! As summer comes to a close and the kiddos start going back to school, we find ourselves scrambling at the end of the day to have dinner ready and strive to multitask as much as we can. I for one cannot handle the large pile of dirty dishes gathered in my sink at the end of the day and still have the sanity to prepare an elaborate home cooked meal (especially knowing I'll have even more dishes I need to do before I go to bed). This one pan bruschetta chicken pasta is flavorful, easy to prepare, and perfect for a weeknight dinner! 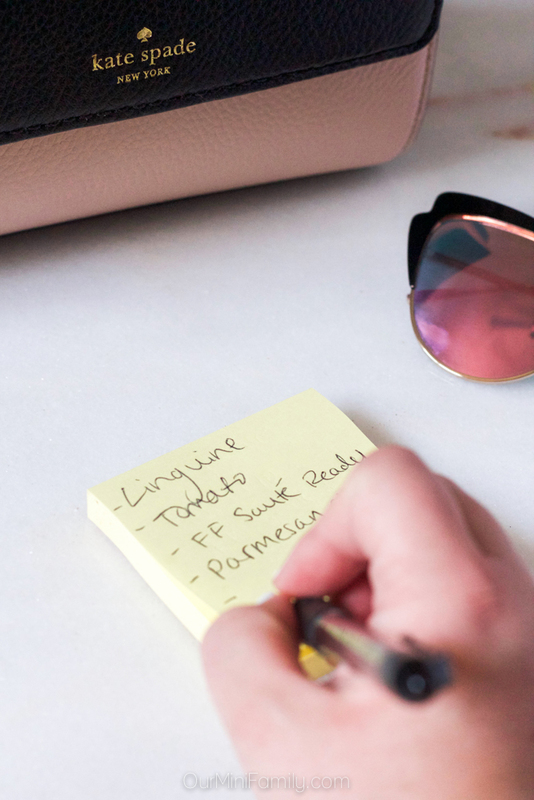 So grab your Post-Its and jot down the ingredients you'll need for this recipe so you can go grocery shopping (trust me, you're going to want to try this one!) 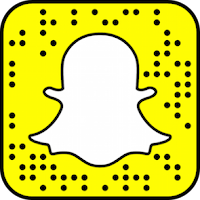 And while you're at it, you'll want to check out these Foster Farms Sauté Ready chicken strips--they have made my life so much easier! Heat a large stove top pan to medium heat. Spray the pan with non-stick cooking spray, and completely cook the Foster Farms Fajita Marinated Raw Chicken Breast Strips. Once the chicken is cooked all of the ways through, remove it from the pan and set it aside on a small plate. Turn the heat on the pan down to medium-low heat. Pour the water, chicken broth, garlic powder, and linguine pasta into the pan. 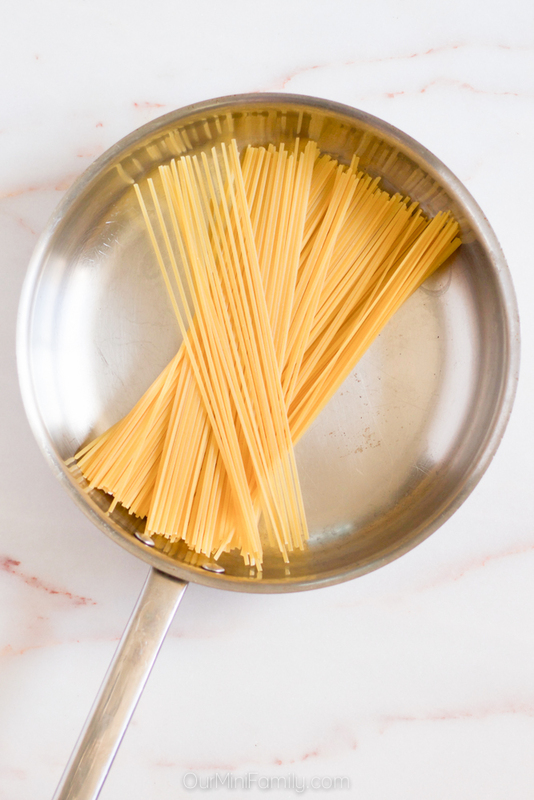 Cover the pan and let it sit for 10-12 minutes until the pasta is cooked all of the ways through, stirring often. Once the pasta is cooked, add the chicken, diced tomato, olive oil, and black pepper to the pan. Stir everything in the pan and turn it down to low heat. Cover and let it sit for 5-10 minutes. 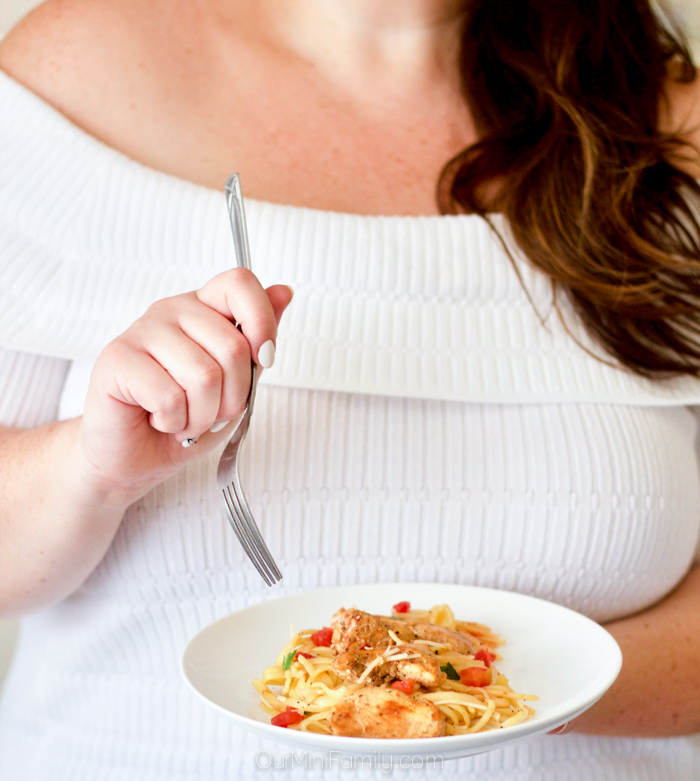 Before serving, sprinkle the pasta with basil and Parmesan cheese. Serve hot and enjoy! This bruschetta chicken pasta recipe is seriously delicious, and a convenient weeknight dinner plan! Our go-to, ready in under 30 minutes recipes will help keep you sane throughout the week in-between all of the dirty dishes, working a full-time schedule, and even with the stress that comes with many families during back to school time. 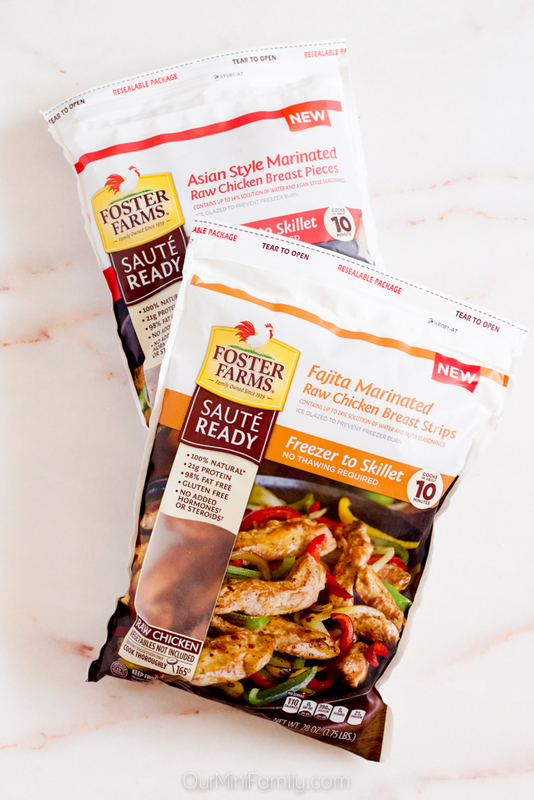 Foster Farms Sauté Ready products can be found in the freezer section of the grocery store, and be sure to keep an eye out for these four Sauté Ready varieties: Fajita, Asian style, Garlic Herb, and Lemon Pepper. 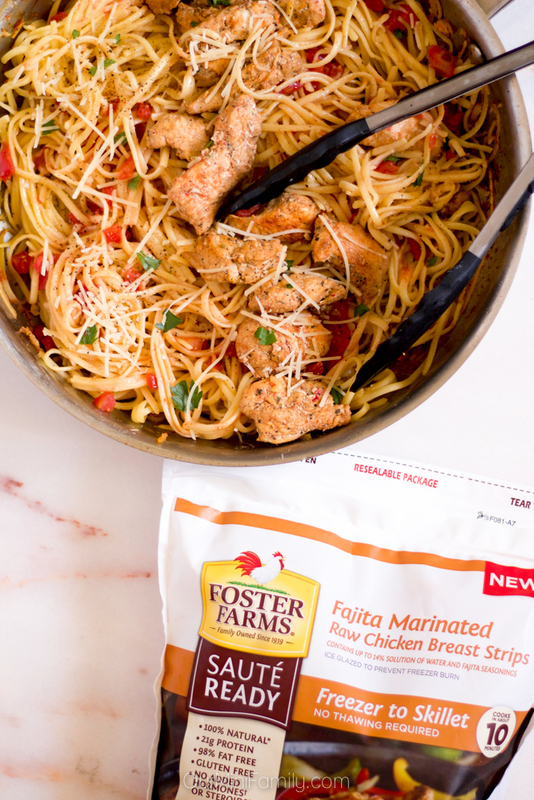 Click here to learn more about Foster Farms Sauté Ready! 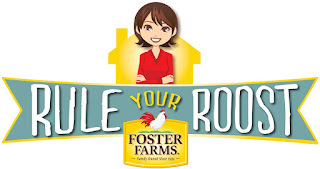 Learn more about how you can #FFRuleYourRoost and Foster Farms snacks on their social media---you can find them on Facebook, Twitter, Instagram, and Pinterest! Don't forget to save this recipe to Facebook and Pinterest! Visit the Foster Farms website for even more weeknight (and back to school) dinner solutions! This post has been sponsored by Foster Farms, but all opinions expressed are my own. Oh my gosh this looks fabulous! I am always on the look out for different dinners because we usually get bored with the same stuff all the time. I can't wait to try this one! This looks so delicious. I know my family will be very happy when I make it! The recipe looks so delicious! I love that this can be made quickly - I love easy meals for school nights. I definitely don't want to be slaving in the kitchen. I love one pan dinners! Yay for less clean up. This one looks amazing and I cannot wait to try it! This looks amazing! My son is a pretty picky eater, but this could be something he loves! I love one pan dinners. 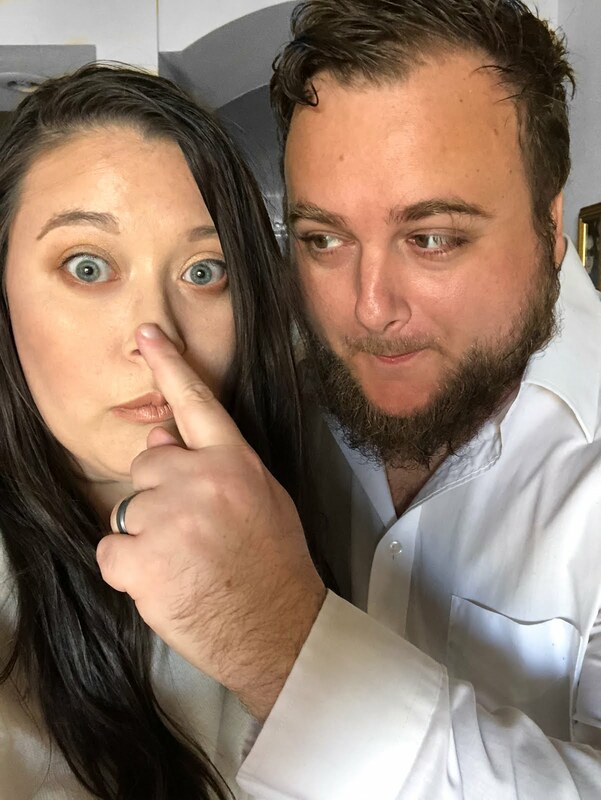 It makes for an easy clean up for sure. This looks good too. That is so great! I love one pan dinners, and I LOVE frozen ingredients that go right in like that. I have never seen these before, but will most definitely be searching them out. They will make dinners so much easier. Fantastic! I love a good pasta dish! 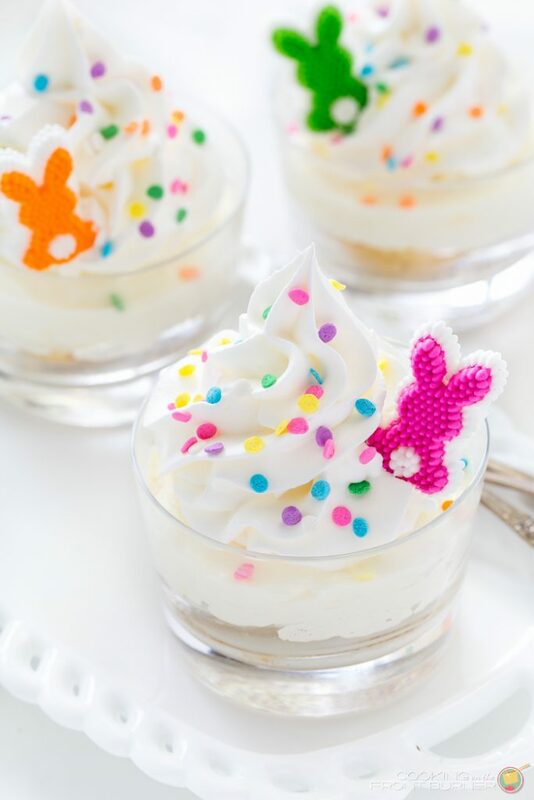 This look so yummy and like something I would totally make for my family! I love one pan dishes! This one looks easy and delicious. Thanks for the recipe! 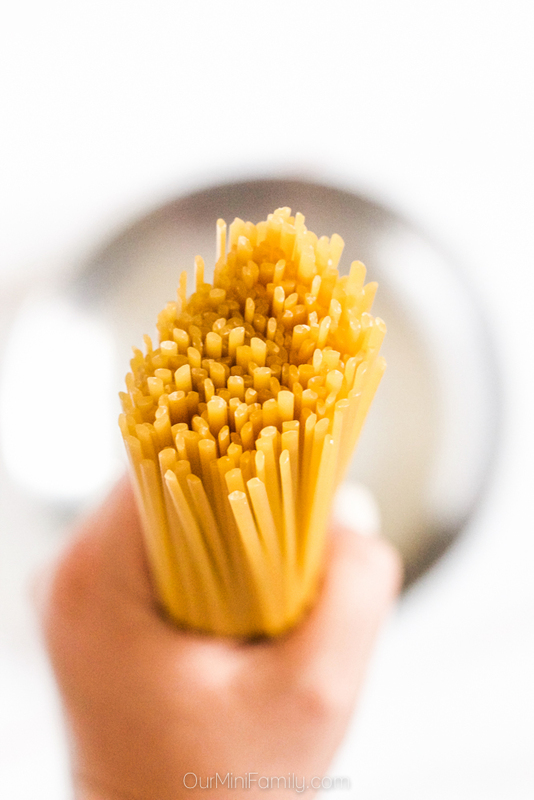 Now this sounds absolutely delicious, I am such a fan of pasta dishes and I am always up for trying something different, I will have to give this a whirl. This looks so good! I'm definitely adding this to my meal planner! My boys love pasta and when all else fails, pasta they will eat! This looks and sounds amazing. 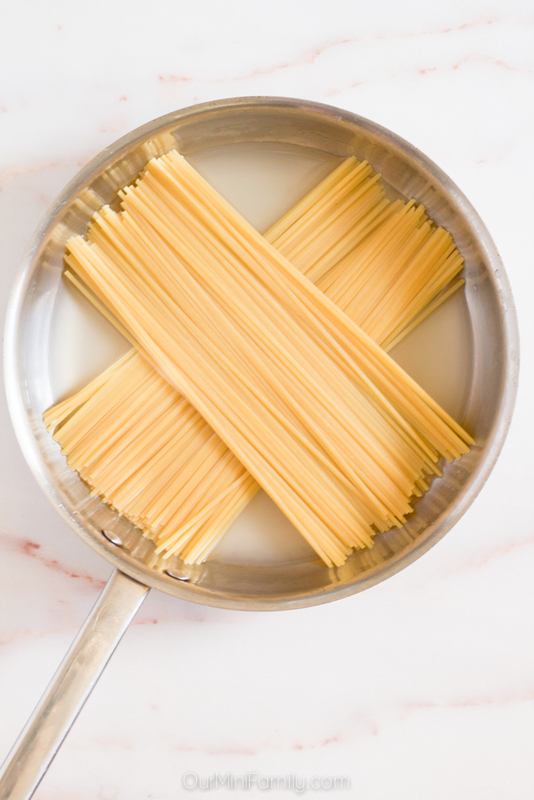 I love the visual tip on how to cook the pasta, too. Can't wait to try this! This sounds like a recipe I would love! And the chicken being already cooked saves so much time! Yum! This pasta looks amazing! My family loves pasta. I'll have to give this recipe a try very soon. This looks really good! I would love to try it this weekend! Yummy! One pan meals are always my favorite to make. I will have to get the ingredients I need to make this bruschetta chicken pasta recipe on the weekend. I am sure the kids will love it. This recipe looks and sounds absolutely amazing! I love one pan meals, which are so much easier to make clean up after. I can't wait to try this dish. Not having to thaw out the chicken is such a time saver. This recipe looks so good! It looks easy to make too. My daughter is the bruschetta fan in our house and she would love this! I may have to had it to the menu next week as a back to school treat! I love the shortcut with the chicken. The whole recipe sounds so flavorful, and since it's one pan, all the better! Love the flavours of Bruschetta and putting this into a pasta with chicken sounds DELICIOUS. I love that it is all in one pan too! I absolutely love chicken bruschetta pasta! 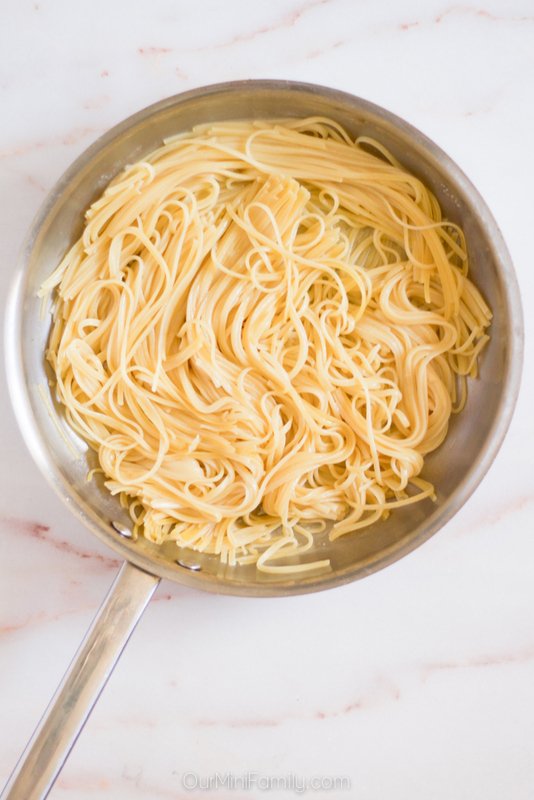 I also love that this recipe is a 1 pan, so easy for busy nights. This looks like such an easy and delicious meal that my family would love! I love how it is only in one pan, makes cleaning up a lot easier! Yum!! This pasta looks super delicious and the photos are gorgeous! 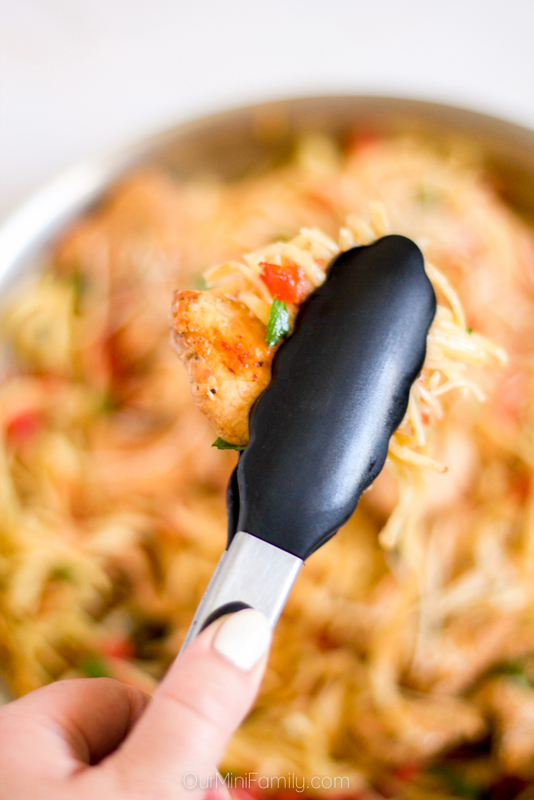 I love quick pasta dishes that can be thrown together after work, so I'm definitely trying this! Hmmm. this looks so good. It is making me hungry.